This story was co-published by The Daily Beast. 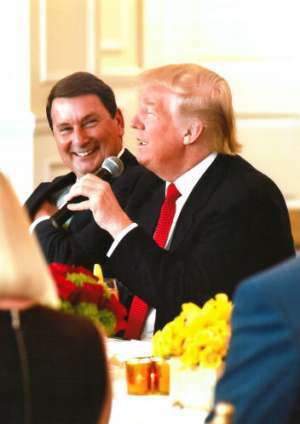 Lobbyist Brian Ballard and President Donald Trump together at an unspecified gathering. Lobbyist Brian Ballard has for years been a power player in Florida, plying the corridors of the state capitol in Tallahassee on behalf of A-list clients such as Google, Uber, Honda — even the New York Yankees. Now, the 55-year-old University of Florida Hall of Fame member — a major Donald Trump fundraiser who also worked on the president’s transition — is out to prove he can translate his state-level lobbying chops into policy victories for a slew of new clients in Washington, D.C.
And he must ply his trade in the nation’s capital without looking as if he’s selling access to a president who has promised to stand up to special interests — a tricky course to navigate that has quickly tripped up other Trump alumni such as former campaign manager-turned-lobbyist Corey Lewandowski. But more than a few special interests apparently believe it does work that way, as Ballard hasn’t had to work hard to land fresh business. Since opening his Washington, D.C., office in January — the new digs are just three blocks away from the White House and stocked with prominent influence brokers — Ballard has signed 35 federal-level clients. Most haven’t previously worked with him. The list includes less-than-First-World foreign governments — Turkey and the Dominican Republican, for two — and brand-name companies and organizations, such as Amazon.com Inc., American Airlines, tobacco giant Reynolds American, private prison firm Geo Group Inc., Prudential Financial Inc., NextEra Energy Inc., the U.S. Sugar Corporation and the American Health Care Association. In just five months, Ballard Partners’ federal lobbying operation has generated nearly $4 million in current and contracted business from foreign and domestic lobbying clients, according to a Center for Public Integrity review of lobbying records filed with the U.S. Congress and Department of Justice. That’s as much lobbying money as some established firms make in a year. Ballard, whose firm remains a powerhouse in the Sunshine State, said he’s always been interested in entering the Washington, D.C., lobbying market. Pressed on why he chose to launch his Washington lobbying business now, Ballard didn’t specifically mention Trump — for whom he raised 2020 re-election campaign money as recently as June 28 at Trump’s hotel in Washington, D.C. Instead, Ballard broadly touted his long-standing relationships with Republican congressmen, governors and pre-Trump presidential candidates, such as John McCain and Mitt Romney. “All relationships come into play,” said Ballard, who splits time between Washington and Tallahassee and lives out of a D.C. hotel about three nights each week while he searches for a home in the nation’s capital. Ballard’s Trump connections are clearly part of his allure. And when a firm such as Ballard Partners hits the D.C. market, potential lobbying clients — such as the Dominican Republic — notice. The island nation’s decision to hire Ballard’s firm is a big switch from their prior lobbying choices, Squire Patton Boggs and Steptoe and Johnson, both established K Street players. 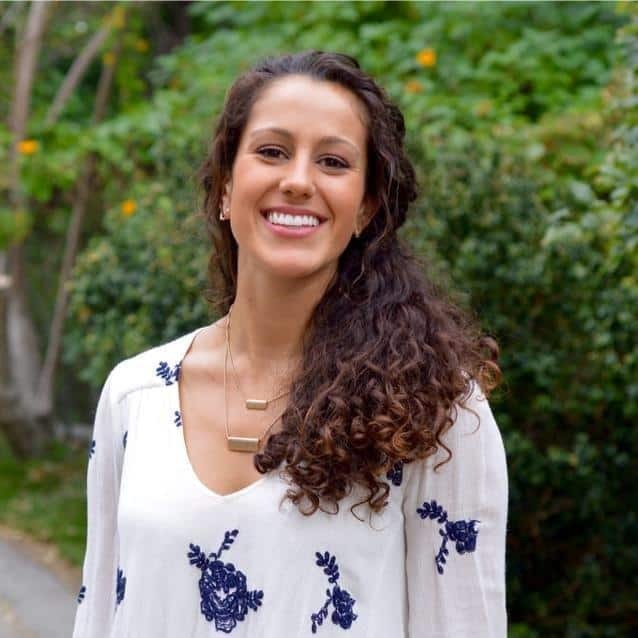 Ballard has met with the ambassador personally and helped the country’s “orientation” with the Trump administration, said Felipe Herrera, counselor for the Dominican Republic’s embassy in the United States. Herrera wouldn’t give details on what this “orientation” entailed. Ballard’s rapid ascent is a familiar Washington story — but the moral of the story is more than a little unclear. For some veterans of D.C. political battles, this is simply how the system works: Hard work and access are rewarded, and prospective clients are justifiably searching for those who can best argue their interests. For others, the Ballard tale represents but the latest cynical example that well-heeled insiders call the tune and the rest of us are left on the outside looking in — hardly the draining of the swamp that Trump has repeatedly promised. Lisa Gilbert, vice president of legislative affairs at political reform group Public Citizen, described Ballard Partners’ connections to Trump as “an example of transactional favor building” and inherently problematic. “You have an obligation to someone who helped you out in the past,” Gilbert said. Ballard has seemingly always been a man in a hurry. After graduating from the University of Florida and its law school, Ballard became the director of operations to then-Florida Gov. Bob Martinez at the tender age of 26. Ballard has been a household name in Tallahassee ever since, serving in various roles for a variety of Republican politicians, including former Florida Gov. Charlie Crist and current Gov. Rick Scott. He served as the Florida finance chairman for the Republican presidential campaigns of both McCain in 2008 and Romney in 2012. While generally in league with Republicans, Ballard isn’t a conservative caricature. He’s occasionally given Democrats money, touts his environmentalist credentials and has over the years lobbied for hundreds of clients, each of which have their own political agendas. He hires bona fide liberals to work at his firm. Ballard even married into politics, as his wife, Kathryn, is the daughter of Jim Smith, a one-time Florida gubernatorial candidate who also served last century as Florida secretary of state and attorney general. Ballard and his father-in-law also worked together for many years. Whether they’re fans or foes of Ballard, Florida politicos tend to agree with this self-assessment. Ballard’s far-flung Florida operation has offices in Tallahassee, Tampa, Orlando, Fort Lauderdale, Coral Gables and Jacksonville. Tony Boselli, the former all-pro offensive tackle for the Jacksonville Jaguars, is a managing partner based in the Jacksonville office. On Ballard’s Florida client list from 2013 to 2016? The Trump Organization. Yet Ballard didn’t initially throw his support behind Trump’s presidential candidacy. He first supported the presidential bid of former Florida Gov. Jeb Bush. In late 2015, he abandoned Bush and backed Sen. Marco Rubio. When Rubio quit the race in early 2016, Ballard backed Trump, whom he first interacted with three decades earlier while working as a young gubernatorial staffer for Martinez. Trump, of course, won the presidency. And Ballard, who’d help The Donald raise millions of dollars in his quest to best Democrat Hillary Clinton, even cast a vote for Trump as a member of the Electoral College. This year, for example, Ballard joined the Republican National Committee’s national finance leadership team. He also served as vice chairman of Trump’s inaugural committee and as a member of the Trump presidential transition finance committee. These are credentials many clients find attractive. Ballard’s D.C. office is now heavy on Trump campaign and transition veterans such as Susie Wiles and Dan McFaul. While Ballard may downplay his Trump ties, Wiles and McFaul aren’t being as shy about their connections. Lobbying disclosure records show McFaul is now lobbying the Department of Veterans Affairs for a Ballard client, Veterans Evaluation Services. The company declined to comment. Wiles helped lead Trump’s Florida effort during the presidential campaign — a decisive March 2016 victory for Trump over Rubio. Wiles’ long history in Florida politics includes a stint as chief of staff for John Delaney, the one-time mayor of Jacksonville who’s now president of the University of North Florida. Delaney told the Center for Public Integrity that Wiles was poised to take a position in the Trump White House but decided against it. “She likes to help her friends and she felt she could be more effective from outside the White House,” Delaney said. Does Wiles have qualms about using her ties to Washington political machinery — Trump, especially — to score points for paying clients? Trump’s “drain the swamp” mantra and executive order squelching certain lobbying activity doesn’t apply to his presidential campaign officials or transition team members, and several of them now work for lobbying clients — with mixed results. Take Lewandowski, Trump’s first campaign manager. He launched a lobbying firm with another former Trump staffer. But Lewandowski faced accusations he was selling access to Trump, and he left the firm last month. For Ballard, though, it’s been full steam ahead —with a stable that includes not just Trump supporters, but also more traditional D.C. power players. For instance, Ballard has also hired former Rep. Robert Wexler, D-Fla., who is quarterbacking the firm’s contract with Turkey. While in Congress, Wexler served on the House Foreign Affairs Committee. Former Rep. Bob Livingston, R-La., a lobbyist who himself once advocated for Turkey, recalls lobbying Wexler on Turkey’s behalf back in those days. “He was very effective, bright and articulate” with a “genuine interest in Turkish issues,” Livingston said of Wexler. Also on Ballard’s team: Otto Reich, a former ambassador to Venezuela and prominent official in the administrations of presidents Ronald Reagan, George H. W. Bush and George W. Bush. Reich, who at Ballard Partners specializes in international affairs, has been a controversial figure since the 1980s, when the U.S. General Accounting Office found he engaged in “prohibited covert propaganda” in a bid to sway public opinion in support of Nicaraguan contras. Foreign clients now account for a significant share of Ballard Partners’ business. Disclosures filed with the Department of Justice show Ballard Partners has secured three high-dollar foreign clients among his nearly two-dozen domestic clients: Turkey, the Dominican Republic and the Socialist Party of Albania. The firm’s contracts with those three clients are collectively worth more than $2.6 million annually, according to disclosures filed with the Department of Justice. Turkey’s relations with the United States have grown especially complicated this year after Turkish President Recep Tayyip Erdogan’s security detail attacked and beat peaceful protestors outside the Turkish Embassy grounds in Washington, D.C.
More broadly, Turkey’s international reputation has become imperiled following its jailing of dissidents and journalists. Turkey is also pressuring the United States to extradite Fethullah Gulen, a Muslim cleric with close ties to U.S. politicians who Turkey blames for a failed coup attempt last year. Meanwhile, two other Ballard clients — Univision and the Socialist Party of Albania — appear eager to court Trump’s administration after their own campaign-season conflicts. Univision, a Spanish-language television network headquartered in New York City, refused to broadcast the Trump-owned Miss Universe and Miss USA pageants after he made disparaging remarks about Mexican immigrants while campaigning. Trump later sued Univision for $500 million. The lawsuit has since been settled. Trump himself booted Univision journalist Jorge Ramos from a campaign press conference in 2015. Univision is now turning to Ballard to help mend the rocky relationship between Trump and the network. The party did not return requests for comment. Nor did several other Ballard clients, including the American Health Care Association. Several others refused to respond to a request for comment on why they chose Ballard’s firm — Amazon and American Airlines among them. And given his burgeoning lobbying business, Ballard Partners apparently doesn’t have to. Dave Levinthal contributed to this report.